Ryan graduated with a Bachelor of Science in Nursing (BSN) in 2011 from Wayne State University in Detroit, MI. Upon graduating he started working in the ICU at Detroit Receiving Hospital in the Burn Unit where he specialized in treating trauma patients along with being a wound care specialist. It was there that he gained tremendous knowledge of the skin and how to recognize and treat burns and other skin related trauma. He also graduated with a Bachelor in Business Administration (BBA) in 2001 from Western Michigan University in Kalamazoo, MI, where he majored in Integrated Supply Chain Management (ISM) and minored in mathematics. 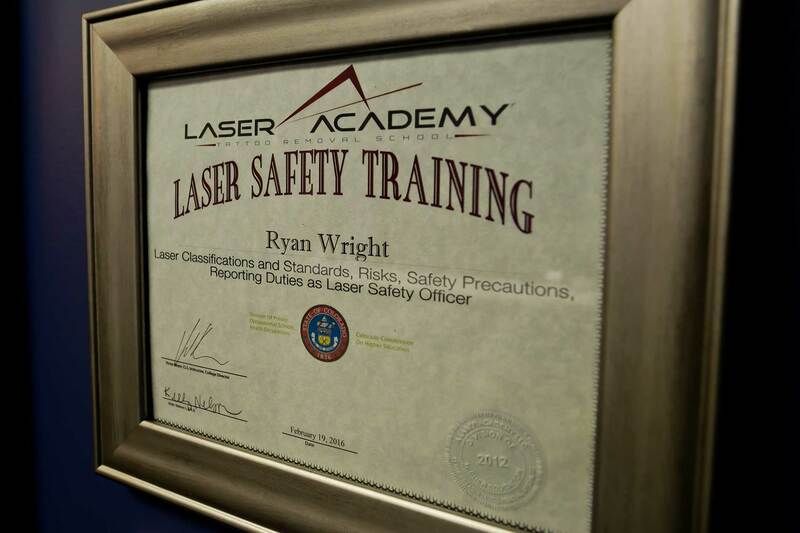 Ryan has earned two official certificates from the State of Colorado; Certified Laser Tattoo Specialist and Laser Safety Officer. 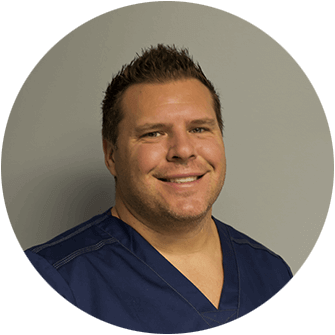 Ryan holds a license from the State of Michigan as a Registered Nurse (RN). Ryan and his wife both grew up in Metro Detroit, and they have two boys named Jonathan and Christian and a daughter named Kaia. He enjoys golf, wakeboarding, and wakesurfing in the summer and skiing and snowmobiling in the winter. Ryan is involved with the SaveHaiti volunteer team and he completed a one week mission to Haiti in 2013. During his mission trip their group helped set up a free clinic for local Haitians, which also included an operating room designed to perform cataract surgeries. During his time there, they assisted the locals with general health screenings, administering eye exams in conjunction with passing out the appropriate prescription glasses, and performing cataract surgeries for those in need. He is also involved in the annual Children’s Christmas Workshop in Northville, MI where they teach kids how to make presents for their friends and family by hand using tools under adult supervision. Each year they select 7 different gifts for the kids to construct from scratch with traditional materials like wood, wire, sheet tin, etc., and using other recycled materials, they then gift wrap them so they can be given away as presents. It is a wonderful learning experience for all the kids involved. Dr. Silveira received her medical degree from the State University of New York at Stony Brook and completed her residency in Primary Care Internal Medicine at the Oregon Health and Sciences University in Portland OR. 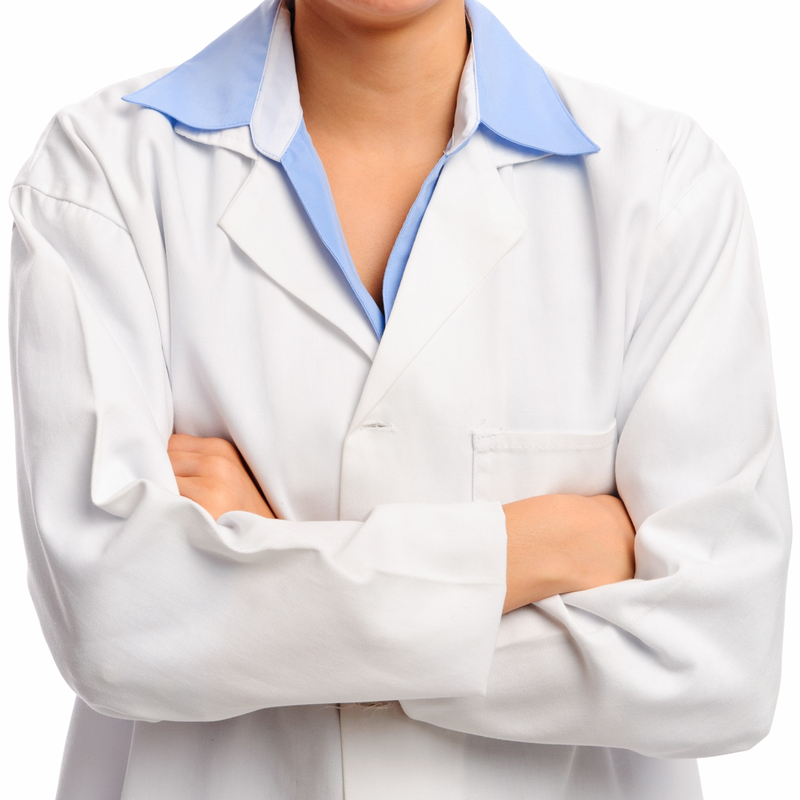 She has been practicing general medicine since 1999. She has a special interest in general cosmetic dermatology. She enjoys art, theater, and jazz. Read more. After 2 treatments I can already see results. Ryan is professional on all levels and his new studio is awesome. I have told all my friends how great this process is. I highly recommend anyone that needs tattoo removal to use Ink Blasters. So glad I found Ink Blasters. Ryan was great. Very clean environment. Fair prices. Done and over quick. Can’t wait for my next appointment knowing I’m getting quality service at a great price. Highly recommended!!! So happy to finally get this tattoo removed!! I have known Ryan for awhile and he’s very trustworthy. He did an excellent job! It was quick and it honestly didn’t hurt that much. Highly recommended! Thanks! Size of the tattoo (sq. inches). Your health (your body does all the work). 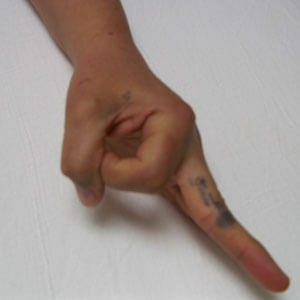 Ink type/depth/age/application technique (used to determine difficulty/duration for complete removal). Cost of each tattoo removal treatment. If you or the CLS has any question about the success of treatment, a “TEST SPOT” might be conducted (just ask!). 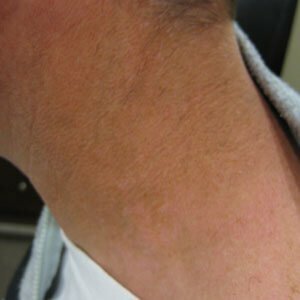 The CLS will explain the treatment in depth and will answer any questions the client might have related to the laser tattoo removal process. It is important to disclose on the Medical Questionnaire all medications you are currently taking as some medications can cause adverse reactions. At the end of the consultation, the CLS will schedule the first treatment. In many cases, there will be enough time at the end of the consultation to move directly into the first treatment. Keep treated area out of the sun for at least 2 weeks prior to treatment. Shave area the day prior (if applicable). No products containing aspirin 24 hours prior to treatment. No AHA’s or other topical acid products on skin. The client will sign in and notify the CLS of any medical changes. 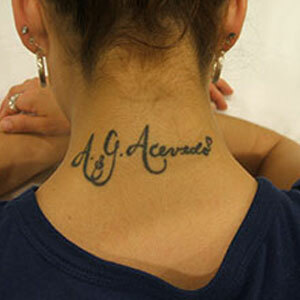 The CLS will photograph the tattoo which will be stored with the client’s file. The CLS will provide post-treatment instructions and schedule the next appointment. Treatments can be scheduled no sooner than 5 weeks apart. 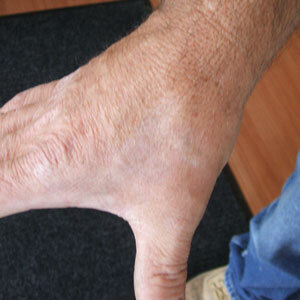 If you have a “fresh” tan, we will send you away due to possible hypo-pigmentation complications. KEEP IT COVERED if in the sun! A digital photo will be taken at each appointment to track the removal process. – Online scheduling: To request appointment availability, please click here to fill out the form. Our scheduling coordinator will contact you to confirm your appointment. – Call our office at [phone number]. – Email us at [email address] with your preferred date or day of the week and time range, and our scheduling coordinator will contact you to confirm your appointment. What do I need to bring to my first appointment? What if I need to reschedule? Please call our office at least 24 hours in advance of your appointment. We’ll work with you to help you find another date that fits your schedule. 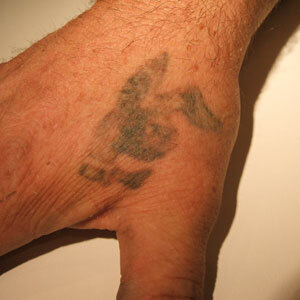 Ink Blasters provides laser tattoo removal services. 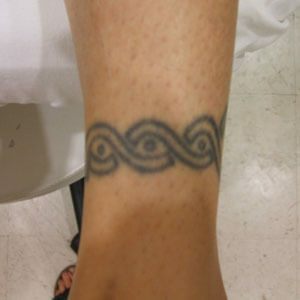 We will conduct a thorough examination on your first visit to determine the best course of action to achieve your desired level of tattoo removal. 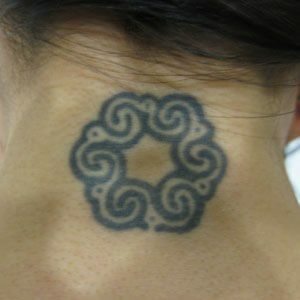 During your initial consultation we will discuss the history of your tattoo and what results you would like to achieve. This will help us estimate the number of treatments you may need to achieve your desired outcome. We will also measure your tattoo to assure accurate pricing. Once we explain the process of tattoo removal and answer any questions you may have, we always leave time for treatment if desired. If you are still unsure on whether or not you want treatment, consultations are always free and we want you to feel 100% comfortable before starting treatment. We can always give you time to think about it or schedule your treatment for another day. 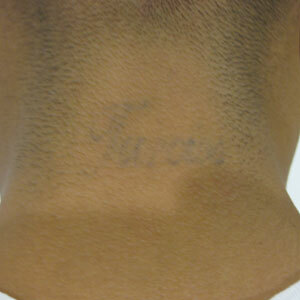 Why do I need to discuss my medical conditions with the Certified Laser Tattoo Removal Specialist? 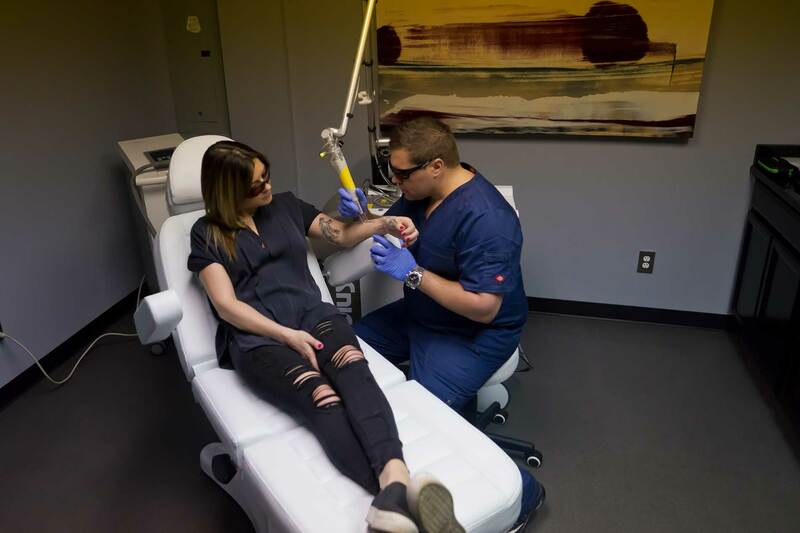 Many health conditions are indicated on the skin and can affect laser tattoo removal so your medical information is very important in diagnosing issues with your skin and body. Certain medications are also contraindicated with laser tattoo removal so it is very important to disclose ALL of your medications. Do you require payment at the time of the visit? We will require payment at the time of service. Do you accept CareCredit payments? How much does tattoo removal cost? During your free consultation, we will estimate the amount of treatments your tattoo removal will take based on coloring, placement and size, with size being the most important factor. Once we have determined how many treatments you will need, we can estimate the cost of your removal procedure. Military/emergency discounts are available. Will you remove tattoos from a minor? 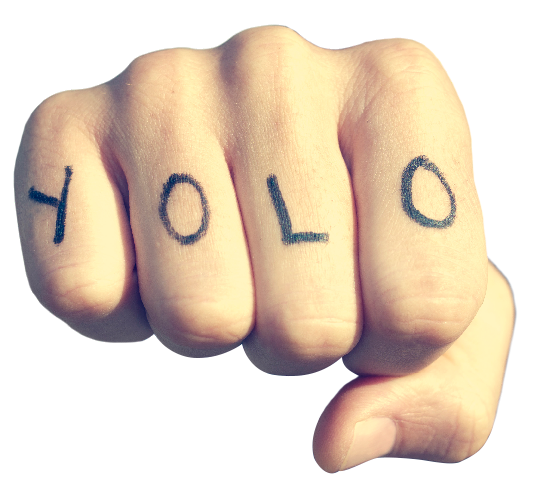 At Ink Blasters LLC, individuals younger than 18 can be treated for tattoo removal with parental consent. 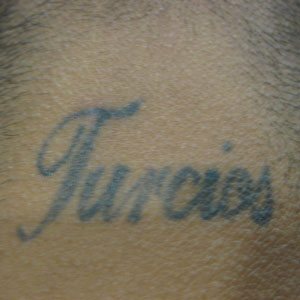 I would like to fly into Detroit for tattoo removal, how does it work? For those traveling in for treatment, Ink Blasters LLC can arrange pick up and drop off at Detroit Metro Airport. Typically, we recommend six hours between the time you land and departure time. 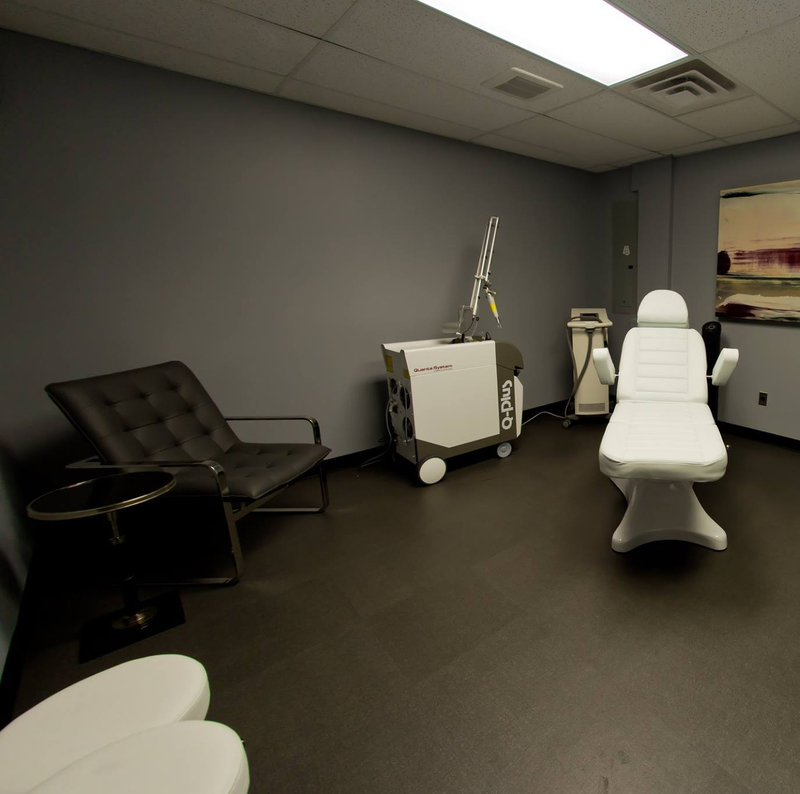 This allows for car service to our clinic, one session of tattoo removal treatment, and return service to the airport. 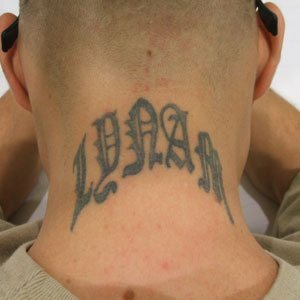 Is it easier to remove tattoos from certain parts of the body? 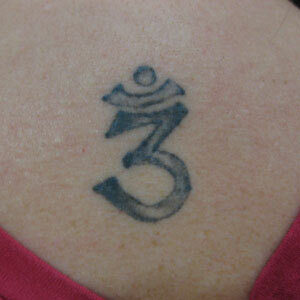 It is easier to remove tattoos from the places on your body that receive more circulation of blood. 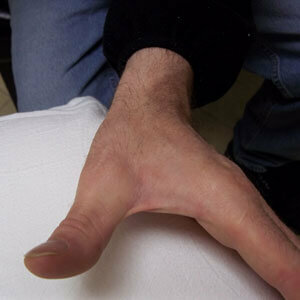 For example: it would be easier to remove ink from the belly, neck, or chest than from a finger or toe. 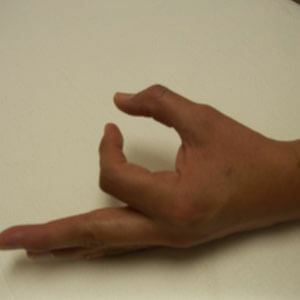 However, it is possible to remove tattoos from extremities with proper treatment and equipment. See our Before and After Photos page for proof. 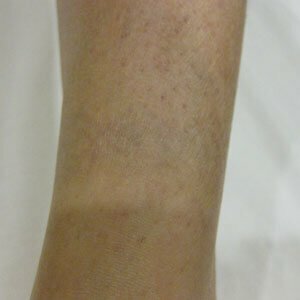 How do you determine how my skin will react to the laser? 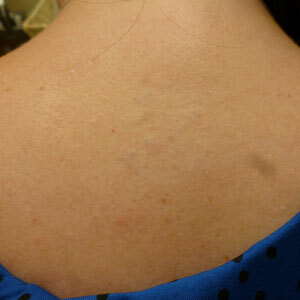 We begin each tattoo removal treatment with a test of the laser on a small spot. This way we can determine how your skin will react to UV light and other effects of the removal treatment. 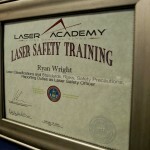 What kind of laser do you have? At Ink Blasters LLC we use a Quanta Q-Plus C laser, the only true wave length, Q-switched system available in the world. This laser is capable of administering more power than other lasers with less adverse reaction. It is one of the only lasers in the world that has the proven ability to remove full color ink from a variety of skin types. Many other lasers use antiquated circular light which is unevenly distributed and creates hot spots. 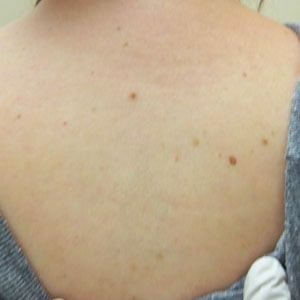 These hot spots are what cause breaking of the skin, severe blistering, and scarring. Quantaâ€™s square beam distributes energy evenly throughout your tissue, leaving no hot spots, but delivering twice the power to break up your tattoo. 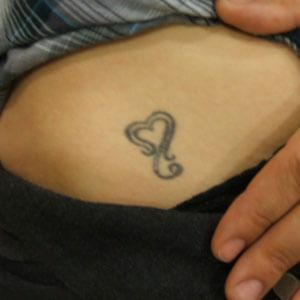 Will laser tattoo removal leave scars? 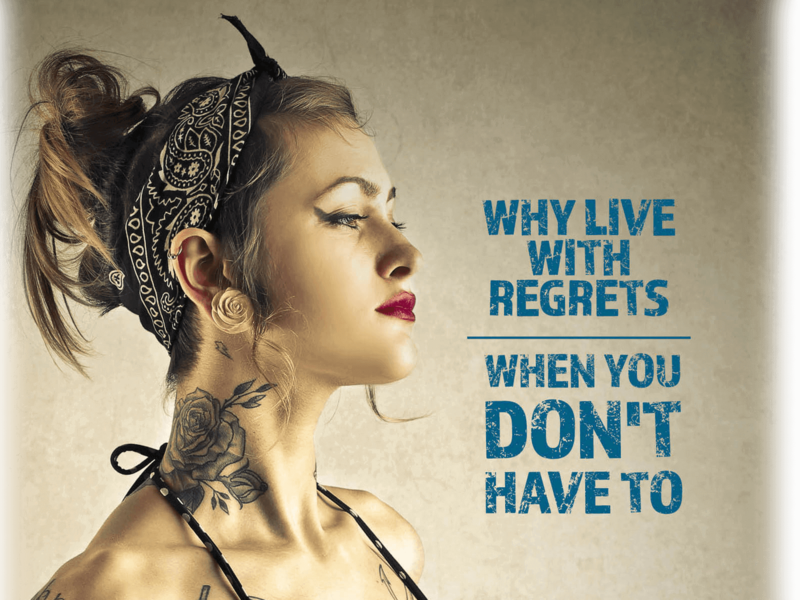 At Ink Blasters LLC, clients have less than a 5% chance of walking away with permanent scarring after laser tattoo removal. Because we use the latest in technology and technique, you will receive the safest and most effective treatment available today. How long does skin need to heal between tattoo removal treatments? We will start your tattoo removal process with 5 weeks in between treatments. Gradually we progress to 6 weeks, and then 8 weeks between treatments near the end of your process. We believe it is most effective to give your body time to digest the ink after each treatment. By taking time off between removal treatments you are guaranteed the best results. 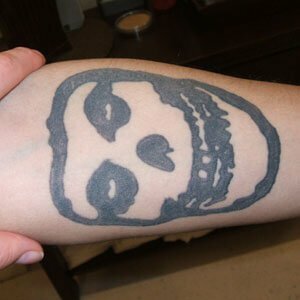 How do I protect my tattoo between removal treatments? To keep your tattoo protected between treatments, keep your skin dry and out of the sun. 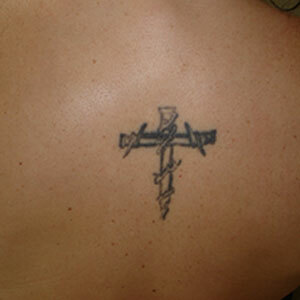 If your tattoo must be in the sun, protect it with SPF 50+ and reapply frequently. Do not place any ointments or bandages over the tattoo and stay away from tanning machines and spray tanning. 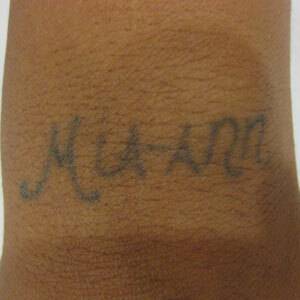 How long is the healing process after laser tattoo removal? 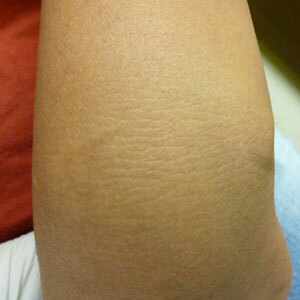 In the past, after tattoo removal treatments, clients are in bandages 1-3 weeks after each removal process. With the new laser technology at Ink Blasters LLC, there are no bandages required. After getting treated, you will likely see swelling and redness for 24-72 hours and your skin will feel like it has a mild sunburn. 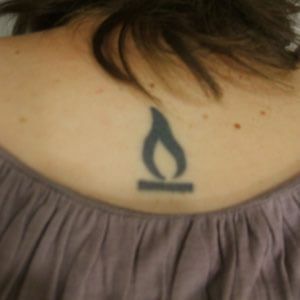 How long is one tattoo removal treatment? Tattoo removal treatment is typically a very quick process which only takes a few minutes to complete. Time spent in clinic per treatment typically doesnâ€™t exceed 30 minutes. How many laser tattoo treatments will I need? The number of laser treatments needed to fully remove your tattoo is dependent on many factors including the size, color, and the depth of penetration of the ink for your particular piece. An amateur or homemade tattoo may only need 2-5 treatments. A professional multi-colored design might need 5-12, or more, treatments. 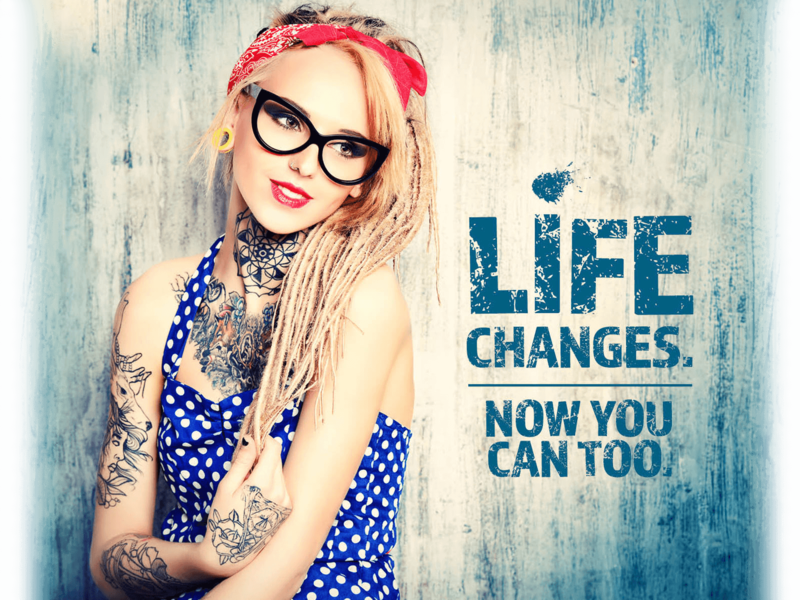 One of the reasons Ink Blasters LLC offers a free consultation is to discuss how many treatments are necessary to remove your unique tattoo. 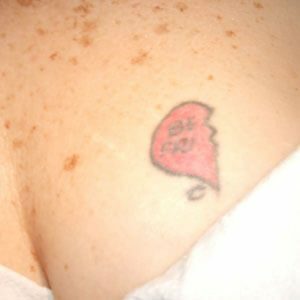 Does laser tattoo removal hurt? Laser tattoo removal stings a little. Clients have compared it to having an elastic band snapped against the skin. At Ink Blasters LLC we use a specialized Cooling System which applies chilled air to maximize your comfort. 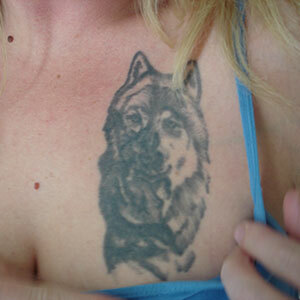 Do you take clients with previously treated tattoos? 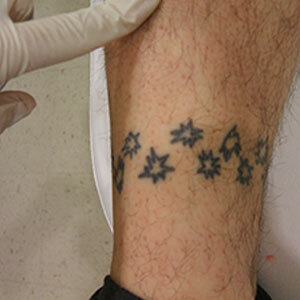 Everyone can benefit from laser tattoo removal treatment regardless of whether your tattoo was previously treated. At Ink Blasters LLC we work on tattoos in all stages from brand new, to many years old, previously treated, or faded by light or sun exposure. We will treat your tattoo properly using a Quanta Q-Plus C, the only true wavelength Q-switched tattoo removal system available in the world. Ink Blasters specializes in getting it right the first time and even repairing tattoo removal work done by other clinics with older technology. 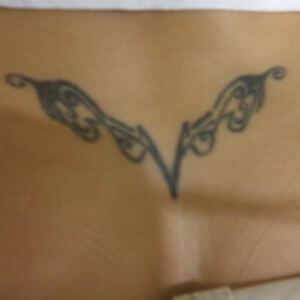 Can any tattoo be removed by laser tattoo removal treatment? 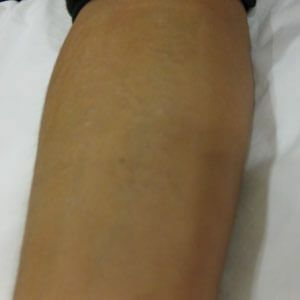 The great majority of tattoos, whether professionally done or homemade, respond to laser treatments at Ink Blasters LLC. Some pigments, especially green, orange and yellow are more difficult to remove than others, but even these touchy pigments typically respond given enough treatments. Part of what separates Ink Blasters LLC from other laser tattoo removal clinics is our ability to remove a full spectrum of colors. Many other clinics are restricted by older technology which only allows them to remove certain hues. 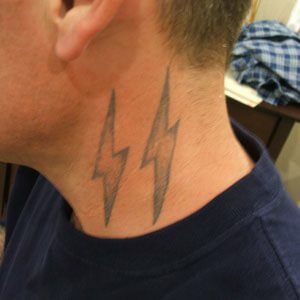 Do you charge for laser tattoo removal consultation? At Ink Blasters LLC we understand that tattoo removal can be a daunting process. We offer free consultations to allow you time to learn about our process, ask any questions you might have, and become fully comfortable with the removal treatment before beginning. 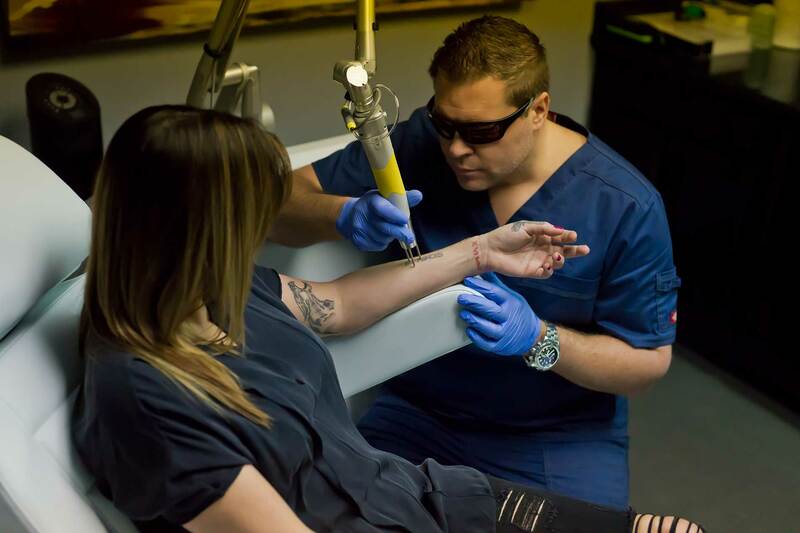 If you can provide us with your health history, type of tattoo, and age of tattoo, our laser tattoo removal specialists (LTRS) and certified laser technicians (CLT) will explain your options for tattoo removal and answer any questions you may have including providing a price for your treatment. 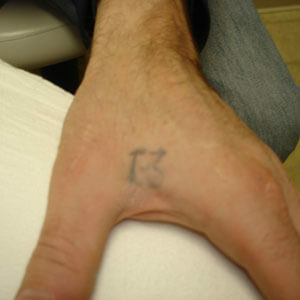 Tattoo removal is priced by the number of solid square inches of ink. The tattoo is measured during the initial consultation using our patented grid formula that will determine the exact size of the tattoo and nothing but the tattoo. 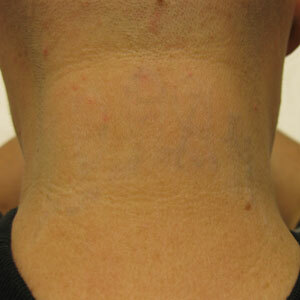 Most tattoo removal centers measure the whole area, while we just measure the ink. This saves you money! A specific price will be set for each removal treatment. Conveniently book an appointment by calling 734-629-5434 or complete the online form and we will be in contact with you as soon as possible. In the space below, please include any additional day, date and time requirements you may have. If you would like to request an appointment for another family member or more, also include first and last names, plus any time requests for the additional appointment(s). For your convenience we have made our patient forms available to download so you can have them filled out before you come into the office for your appointment.